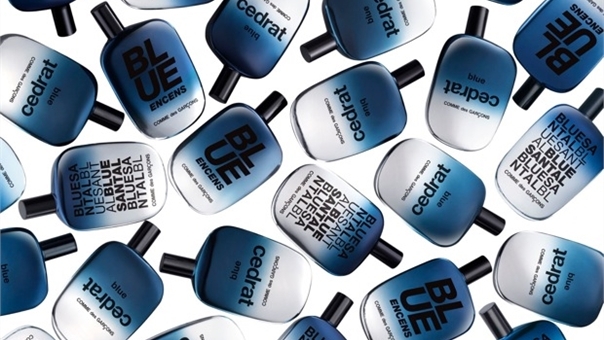 The word “blue” (or in its French fried form, “bleu”) in the name of a perfume is a cliché. It's not as overused as “black” (“noir” if you're posh), but it does the same job: as a signpost to a fragrance destination we've all agreed upon. We read “blue” on the bottle and we think, “Crisp! Fresh! Aquatic! Cool! Sporty! Masculine! Safe!” The Blue Series, the new trio from Comme des Garçons, toes the blue line by delivering on all of these expectations. 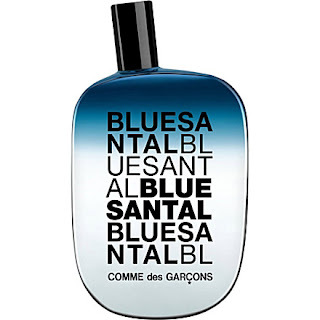 Okay, so the Blue Series may not be cartoon opulent like Daphne or Champaca (my current favorite CdG), or big-round-black-framed-glasses conceptual like Odeur 71 or Eau de Parfum (the one in the “saline bag” bottle), or hip world-music spiritual like the Incense Series. But when I say “safe” here, for once it's not code for “crud on a stick”. Because the Blue Series chimes some comfortingly familiar chords in an attractive fashion, for fellas who just wanna smell easy-breezy. The Blue Series may not be a perfume manifesto, but neither is it the smell of “sleazy marketing reps on vacation from Houston”, as my pen pal Dan Rolleri describes Chanel Bleu. Blue Cedrat is the most ordinary out of the three. (When I tried the series at Liberty in London, SA Stuart told me Blue Cedrat is the one most people immediately go for. That's "most people" for ya.) This cedar is laundry detergent clean, with no fuzz in the lint trap. A high-def overlay of a classic eau de cologne -- herbs and flowers -- is further sharpened to the side of bitterness with what's described as a “quinine accord”. To me, this accord resembles just-cut green bell pepper. There's no musky mellowness at any point in the proceedings -- Blue Cedrat maintains its metal edge throughout the wearing. 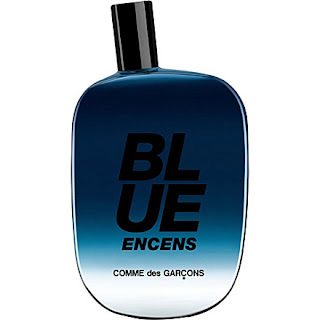 Blue Encens has a lot in common with its older siblings in CdG's sprawling brood of woody perfumes. We've got a Walton family situation here: I can name John-Boy, and then after that, it's all a blur of freckled faces and good manners. In my world, CdG's John-Boy is Avignon, and then there's 89 other infinitely-calibrated variations on wood in all of its charms: some sweeter, some leaner, some greener, some smokier. Comme des Garçons: most of the bottles can't stand up. Blue Encens is a chip off the old block, the block itself a composite of CdG frags like Laurel, Dover Street Market, Original, and Avignon. Blue Encens' hot sweet cinnamon and cool herbal wormwood moiré over a bassline of frankincense. It's spicy but sheer, a nod to exotica while not actually leaving the country. Blue Santal has the most personality of the set. It's a marine sandalwood, the sound of which may set your teeth on edge, but in practice results in a pleasing reworking of a Monty Python “spam, bacon, sausage, spam, egg, spam, spam, bacon and spam”-style litany of standard masculine olfactory themes. An oceanic crispness gives the sweat of the sandalwood a refreshing lift: an open window in the bedroom, the cool morning after a humid night's sleep. A nice, earthy dirt aroma further grounds the creamy roundness of the sandalwood. The dirt keeps it physical while cutting sandalwood's potential to be cloying. Blue Santal is sensual without resorting to amber, vanilla, or figgy sweetness, all of which can harsh my sandalwood buzz. 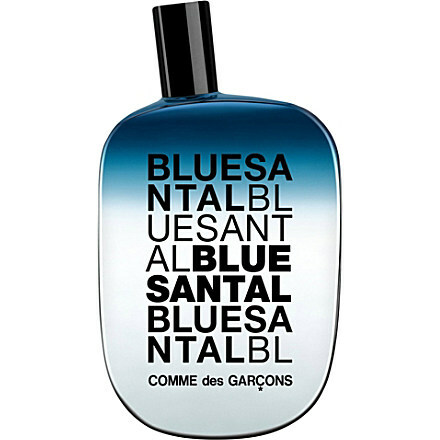 The Blue Series is particularly serviceable in the capacity of “a young man's first niche fragrance”. They've got the CdG badge of esoteric glamour, the groovesomely skew-whiff sculptural bottles, and the smells that signal “I'm a clean guy”, without the tackiness of mall fumes' sneeziness and corn syrup sweetness. "An iced, cooling Australian sandalwood accompanied with warm pine notes and sharp juniper berries. A clash of luxurious warmth and searing coolness. Fresh, non-fresh. Cool yet warm. 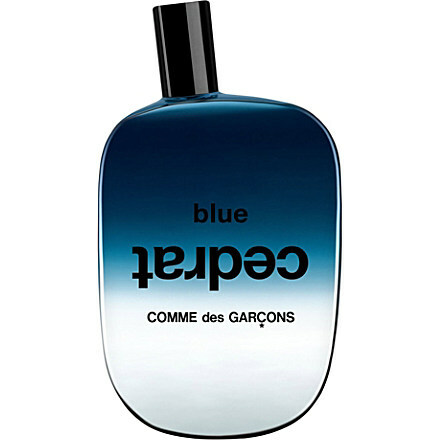 Blue takes over to reveal the contradictory coolness of three emblematic warm notes: incense, cedarwood, sandalwood. The result is a cool blue invasion, an unexpected blend of wood, spice and incense artfully combined to reveal refreshingly warm layers." Those things could be true, and yet somehow not. "Why yes, it does have contradictory coolness. And it still smells like crap." Oh how I love Liberty's perfumery. The selection is beyond compare. Hard to find all of the CDGs anywhere else. And Marc at the Le Labo counter is kindness and helpfulness personified. But him aside, it is impossible to get a sample before purchasing, which gives me mild rage. A Le Labo sample, or across Liberty's selection? Because the Malle kids will cough up a sample or two, although they'll look a little cagey about it and sometimes make you give them your email address. And if ready-made samples of other things are available, the SAs will give them out. But yeah, no-one will make a sample for you there. Ooh yes, Le Labo samples have been generously proffered , and I have been lucky with the FM guys too. ( I actually once sneakily read the FM training manual for its SAs, and they are instructed to be cruel and withholding on the sample front, which must be very awkward for them!!). Is that true? They're told to be deliberately withholding? That explains the tedious pantomime enacted whenever I've inquired after a Malle sample, which always ends with the SA opening a cabinet bursting with ready-to-hand-out samples! Mind you, the SA's at Barneys in LA are happy happy happy to share whatever they have (including Malle fumes), or to make up a sample for customers. It makes *such* a difference to be made to feel included, not excluded. Katie, Yes, it's totally true! I only happened to read the manual because I was enquiring after the composition of one of the scents, there was a language barrier ( this happened abroad, not in London), and it was easier to show me the English-language manual to answer my question! Being the sort that takes a mile when allotted an inch, I got stuck in to reading and there is a whole section on the directed stance when a customer asks for samples. 'Not on your Nellie unless we deem you a serious customer', is the gist of it. I totally agree with you on samples. Perfume is an often expensive luxury and we 'fumeheads are prepared to spend - but we want some party favours to go home with to sweeten the deal!! See, what I don't get is why CdG is even doing this? 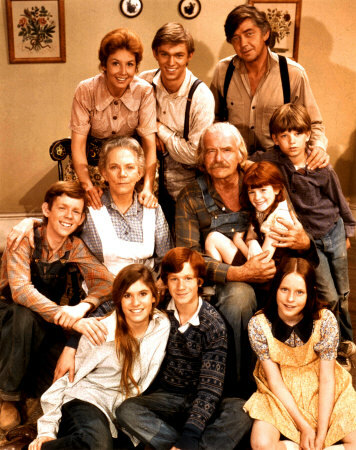 They are the weird kids from the A.V. Club, the nerds and the freaks. They made a copier toner fragrance fer crissakes! Why this sudden Night at the Roxbury trio of blue 'fumes? They should have gone another direction and released three Grey fragrances: Sidewalk, Concrete and Dust. Hahaha! "Night At the Roxbury"! And I love the Grey Series! Plus now all the other indies are following suit! Andy Tauer just announced the release of "Laundromat Memories" and Etat Libre D'Orange just changed their name to Shut Up and Do Your Work. Actually, Maison Francis Kurkdjian came out with his "mall fume" set last year: Amyris pour Femme/Homme. I almost took you literally, Stefush. Gullible! One can't stop laughing at that description of Chanel's Bleu, a perfume that has always faled to make any positive impression on me. Perhaps because it seems almost too dull to be true and at once counter-intuitive it's that 'marine-sandalwood' that catches the eye and we hope the nose. That Dan Rolleri can really pin a bug to a card with his wordpower, can't he? And I'm enjoying your "too dull to be true." I'm going to start saying that. This is a little off topic, but the next time you're in the market for a new car, you should look into the 2014 Mercedes S-class. One of its optional features is a fragrance atomizer in the glove box! Supposedly they offer 4 scents ("downtown", "sport", "fireside" or "nightlife") or you can use one of your own fragrances. Gosh, and I thought By Kilian packaging was expensive. Here you have to buy a whole luxury car for your perfume. All luxury cars should be sold with Cuir de Russie as standard.